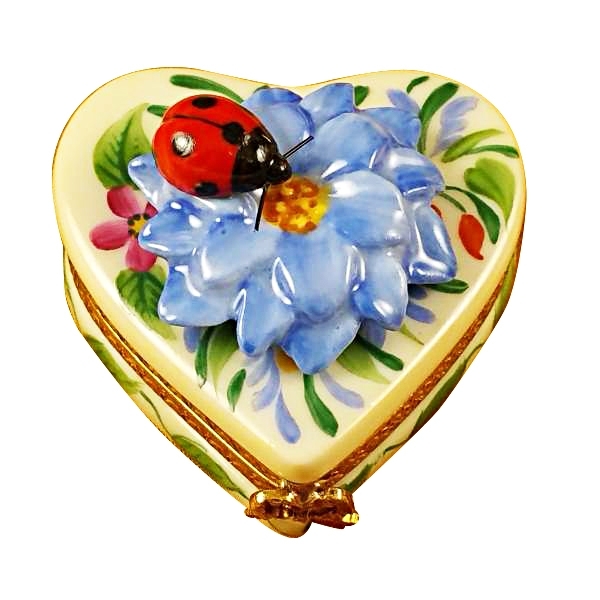 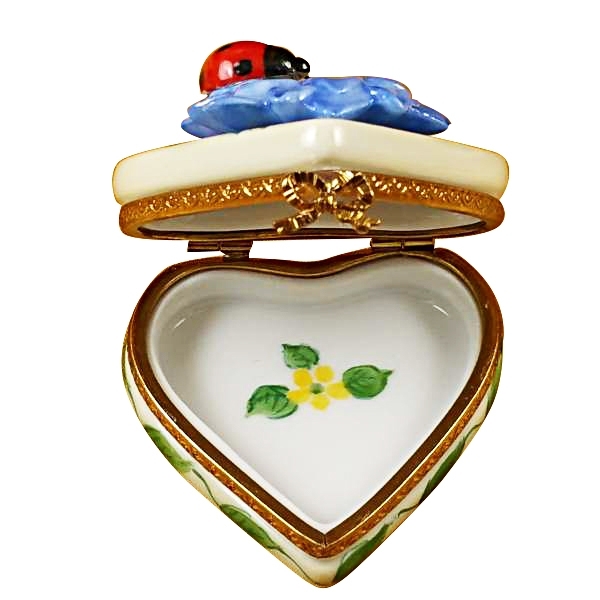 Heart blue flower w/lady bug - Limoges Boxes and Figurines - Limoges Factory Co. 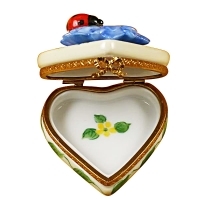 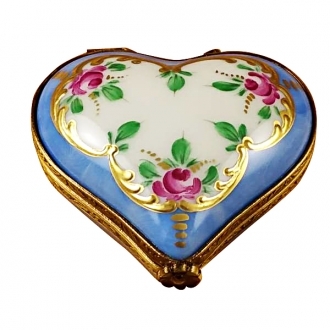 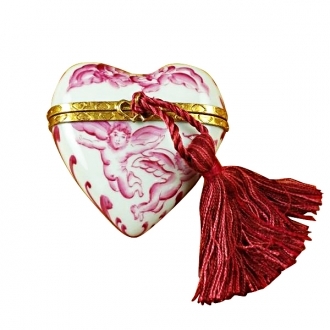 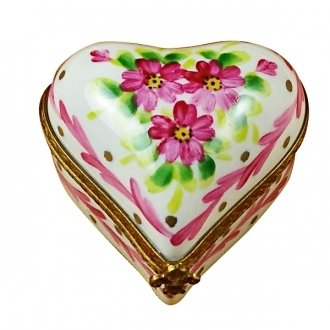 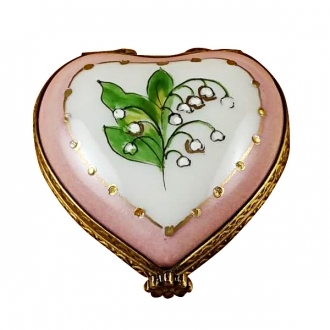 This is an extremely romantic Limoges box. 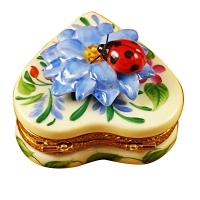 The ladybug on the lid of the box is pictured to be sitting in a rosette of leaves. 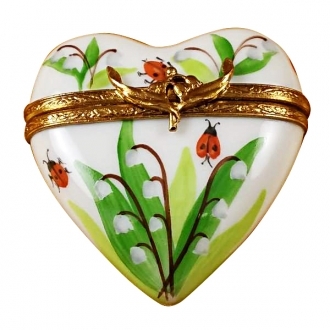 The white lilies near it look very beautiful and natural. 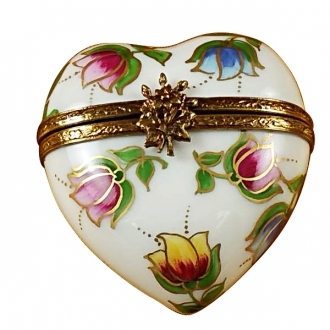 The box is hinged at the wide end of the heart and the flower clasp is at the pointed end of the heart and hence looks very decorative. 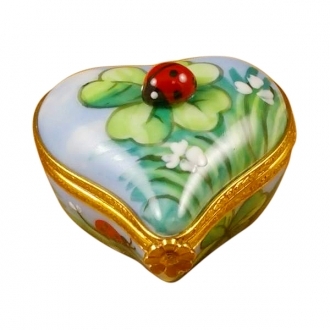 This can be a good Valentine’s Day gift for your sweet heart. 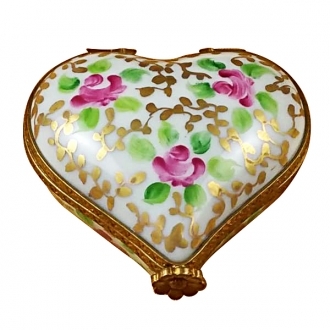 Measurements: 1,75" х 2" х 1,5"